The next generation in total cloud backup for your dental/medical practice. UnaCloud – Cloud Backup for Business offers ideal backup and security features for SMBs. Your backups will be fast, safe, and reliable. Backup and recover laptops, workstations, fileservers, and files and folders. 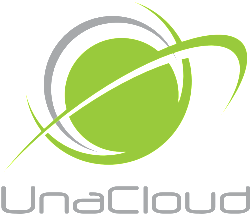 UnaCloud Cloud Backup provides military-grade backup security. Flexibility and Value areStandard with UnaCloud Cloud Backup. [Your Brand Here] Computing doesn’t limit you in the way that many cloud backup providers do – we believe that your cloud space is yours and should be used however you like. Purchasing cloud space with UnaCloud Cloud Backup means that you can use it however you like – your server cloud space doesn’t have to be used with a server, it can still be used for file and folder and fileservers too. Mobility – UnaCloud Cloud Backup allows you to view, share, and access your backups from anywhere, with any device with a web browser. Multi-destination backup – Use UnaCloud Cloud Backup to backup your local data to any destination, anywhere. Including external hard drives. UnaCloud Cloud Backup has the ability to monitor and manage your account remotely. Rest easy knowing that we have the ability to schedule your backups and apply remote backup policies at any time of day, keeping your data safe 24/7. Did you back it up?